If you’ve come from Ilina Crouse‘s blog you are in the right place. If not head on over to the Impression Obsession blog for the start of the hop. My card uses the following Impression Obsession stamps: D19804 Mermaid Jessi and C19809 Make Some Waves. I used acrylic paints to make my background. 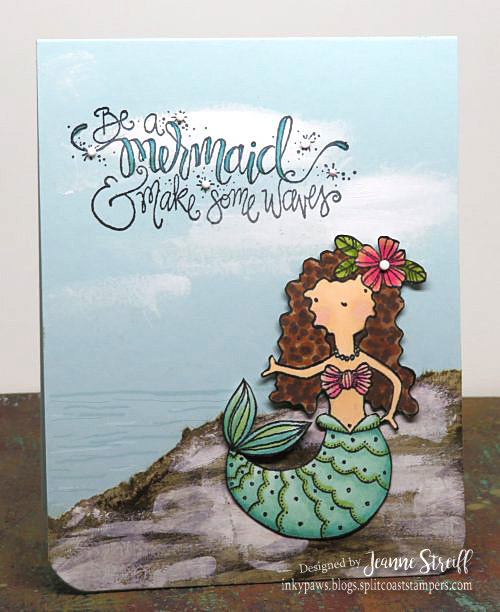 The mermaid was stamped with my MISTI, colored with Arteza Real Brush Pens. Technique Junkies June Release Hop! If you’ve come from Vicki Garrett’s blog you are in the right place. If not head to the Technique Junkies Blog for the start of the hop. 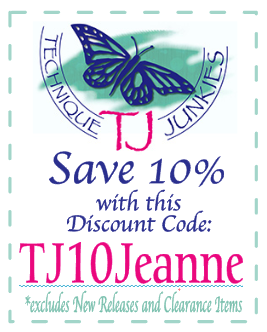 We have 13 new stamps in the Technique Junkies line! 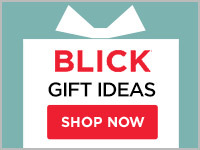 through June 8th! We can all use a little bargain, right? My first card uses Anchors Background and Learning to Sail. I used a couple premade Color Burst (Caribbean Brights) backgrounds for this card. For the background I inked up my stamp (on my MISTI) and then wiped off the ink on the edges before stamping. 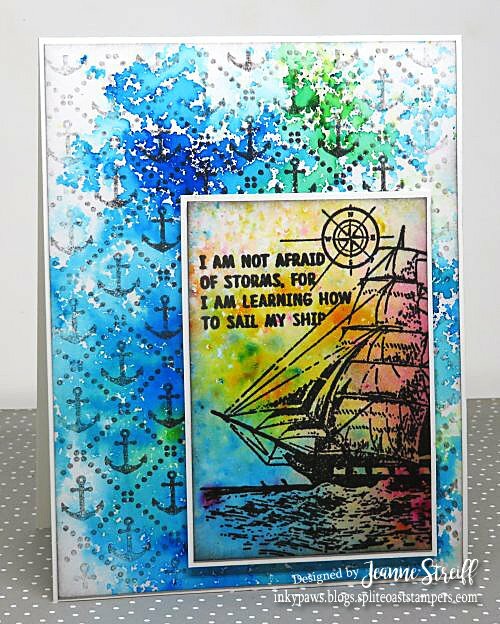 The Learning to Sail image was stamped on a different background and matted on white cardstock. 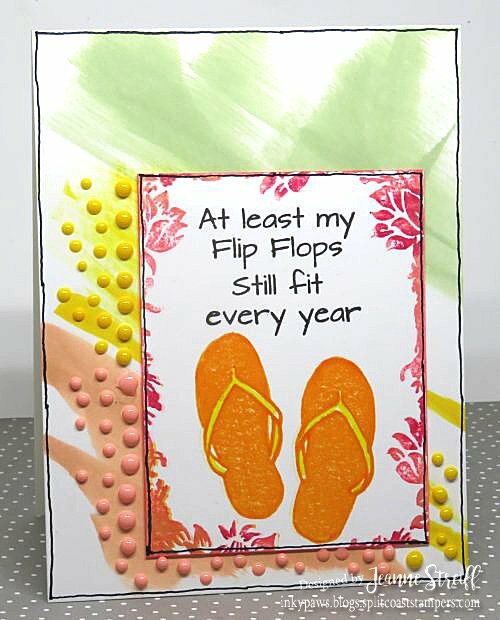 My next card uses Flip Flops Fit. I made a background by swiping ink pads across my card. I stamped Flip Flops Fit with my MISTI and water based markers to get the different colors of ink. I added a bunch of Nuvo drops for a little texture. Now hop on over to Lee Ann Barrett!! 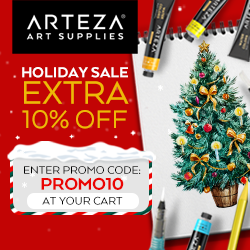 NOW HOP ON OVER TO KAREN AMIDON!